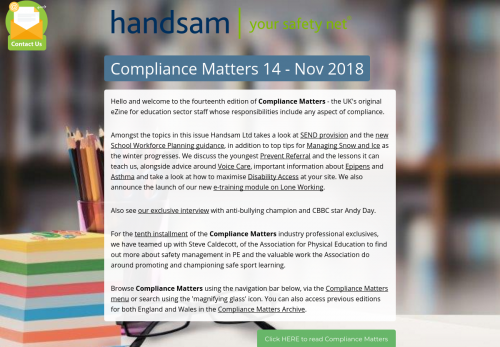 Hello and welcome to the fourteenth edition of Compliance Matters - the UK's original eZine for education sector staff whose responsibilities include any aspect of compliance. 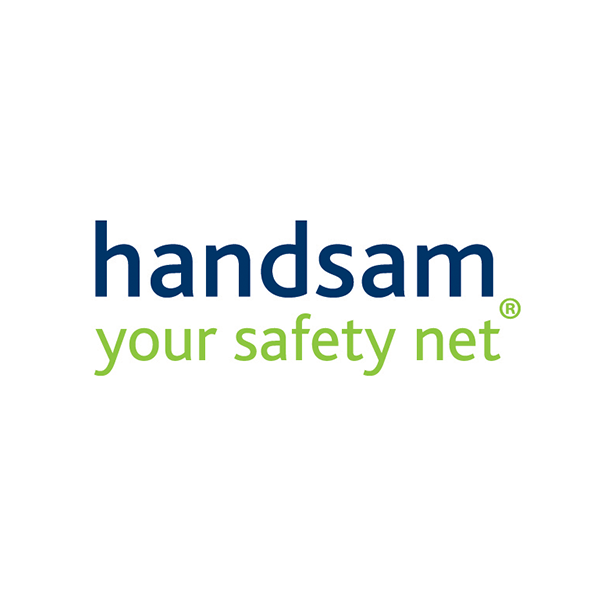 Amongst the topics in this issue Handsam Ltd takes a look at SEND provision and the new School Workforce Planning guidance, in addition to top tips for Managing Snow and Ice as the winter progresses. We discuss the youngest Prevent Referral and the lessons it can teach us, alongside advice around Voice Care, important information about Epipens and Asthma and take a look at how to maximise Disability Access at your site. We also announce the launch of our new e-training module on Lone Working. Also see our exclusive interview with anti-bullying champion and CBBC star Andy Day. For the tenth installment of the Compliance Matters industry professional exclusives, we have teamed up with Steve Caldecott, of the Association for Physical Education to find out more about safety management in PE and the valuable work the Association do around promoting and championing safe sport learning. Browse Compliance Matters using the navigation bar below, via the Compliance Matters menu or search using the 'magnifying glass' icon. You can also access previous editions for both England and Wales in the Compliance Matters Archive.